One of the things that modern offices are short of is space, and for inner city offices space costs money. This is even more of a concern when the space is only used to store essential papers in order to comply with various regulations. Papers relating to taxes are an obvious example, so too are medical records and confidential customer records. Using up valuable floor space to meet legal requirements can be costly. Cost is not the only consideration – being able to find the right box in seven years time is also important. At the end of those seven years you’ll need to dispose of all those papers securely. That could keep a member of staff and your shredder busy for several hours. If this sums up your storage situation, then a call to Box-it could be worthwhile. They can help you free up office space, meet all your legislative, security, and logistical needs and save staff time. Box-it offers secure storage, and easy access to your files should you need them. It also provides safe and secure disposal if required after a set time. You may be aware that farming has changed over the years. Farmers have diversified and Box-it near Burton-upon-Trent is the result of such diversification. Box-it is based on a former dairy farm that has been in the same family for three generations. Faced with low returns from dairy plus the risk of diseases that could wipe out an entire herd (remember foot and mouth a few years ago? ), the change was made to arable farming. More recently the farm has diversified even more and now has arable, solar energy, and Box-it storage. Outwardly the site looks like any other farm. What isn’t obvious from the road are the 50 acres of solar panels or the way farm buildings have been converted to secure storage. In common with many farming families there is also concern for nature and conservation, shown for example in the 5 metre strip around the edge of fields and the ponds saved for wildlife. The requirements for storing confidential papers are the same wherever you keep them. The building has to be waterproof, vermin proof, and both temperature and humidity controlled. Box-it’s storage buildings meet all of these requirements. The environment is carefully controlled. Access is also strictly controlled. All the buildings have high security locks and alarm systems. 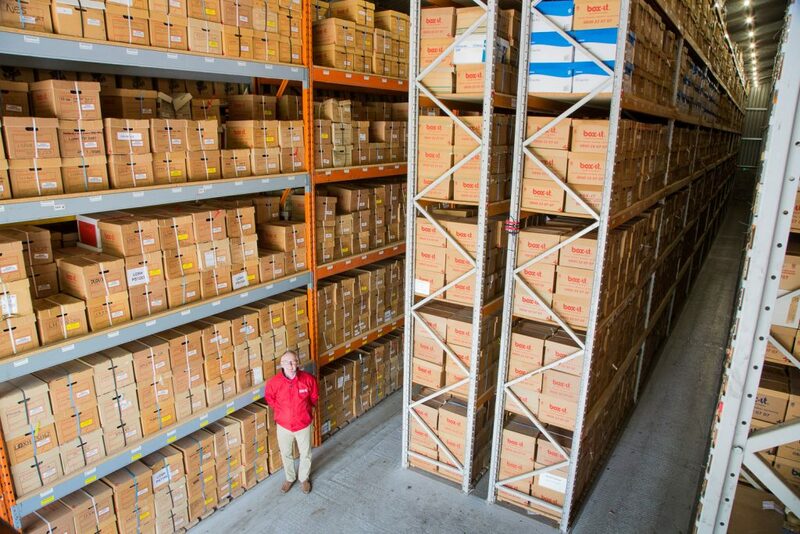 Where Box-it exceeds your average office store room is in organisation. Each box is sealed, bar coded, and placed in a location that is also bar coded. So when you ring up to get access to a particular box, the staff at Box-it can locate it and have it on a van for delivery next day if notified by 3pm., and then return it to storage whenever you wish. Same day delivery is possible with some service level contracts – their record for returning a box is 25 minutes from the customer’s phone call. A scanning service is also available for those who require it. You specify the paper you wish to be scanned and Box-it staff will scan it and upload it to Omnidox, the company’s own UK based server, ready for you to view. As with the physical paperwork, the highest standards of security are applied to Omnidox, along with the high quality disaster recovery and regular system audits – all the features you’d expect for a critical computer system. As you’ll have gathered, Box-it takes its work seriously, and that includes shredding. Box-it can supply a secure cabinet for your office in which members of staff place any day to day items for secure disposal. The cabinets are emptied regularly and the contents securely shredded. The same shredding process is used at the end of the box storage period if you wish. When a box reaches the end of its specified retention period the customer has three options: return the box to the customer, extend the retention period, or securely shred. 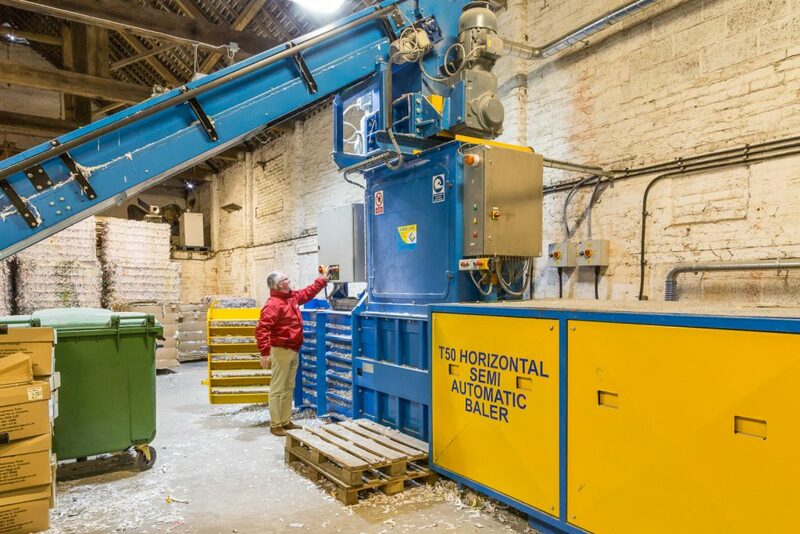 The shredding takes place on the premises and, like everything else at Box-it is done to ISO standards. ISO 9001 relates to quality, ISO 1401 relates to environmental issues, and ISO 2701 covers information security. These standards are regularly audited so the customer has peace of mind.